A few months ago I wrote a post about accessibility to highlight the work that my old local LUSH store had done to improve their store. I managed to get them to buy a ramp so myself and other wheelchair users could enter their shop, it was an amazing feeling being able to actually change things and make a small difference. Recently though I've been thinking more about how much more work there is still to do when it comes to making public places accessible for everyone. I have my own challenges to overcome when I leave the house due to using a powerchair/wheelchair but everyone has different needs, being accessible for wheelchair users is great but not enough. There are so many people out there that need accessibility too including people with invisible disabilities, deaf and blind people and those with learning difficulties just to mention a few. I cannot speak on behalf of those people though so do leave comments below about how you would like public places to improve their accessibility, we can't make changes by staying silent. I can talk about the changes that I would like to see being made though so that is exactly what I'm going to be doing today. If you're a wheelchair user that relies on buses, trains etc then you will know exactly what I'm about to say. Personally I typically only use buses but I hope to try using trains in near future as well, the reason I haven't so far is because it honestly scares me. My Twitter feed is often littered with stories from wheelchair users who have been left sitting on the train platform as they watch their train leave without them, all because staff haven't turned up with the assistance they booked. I'm terrified of being able to get on to a train but then arriving at my platform to find that there isn't a ramp waiting for me. I wouldn't be able to leave the train without one so it's a pretty scary prospect that I might become stuck on a train past the platform that I need. Recently my best friend Sarah has had some shocking experiences with trains and assistance, read all about it here. When it comes to buses though that is something I definitely have experience with. When I got my powerchair one of the first things I wanted to do was to get the bus into town on my own, independently for the first time in quite a while. The journey there was okay but on the way back 2 women with buggies were both ready to take up the wheelchair space on the bus and funnily enough wheelchairs do get priority in that space, there is literally no where else on the bus where I could sit. Luckily that time I had a bus driver who knew the rules, he let me on first and told the ladies that there wasn't enough room for them and they should wait for the next bus. After all a 20 minute wait would be extremely painful for me but they would be able to manage it, assuming they were both able bodied. On my next trip though things didn't go as smoothly. The bus arrived for me to go into town but when the driver tried to get the ramp out he found that the handle was broken. He said it should have been checked before the bus left to start its day, apparently it could have easily been fixed. So, I had to sit in pain for an extra 20 minutes all because someone didn't do their job probably. Then on the bus home I was practically barricaded in by two buggies, yes TWO buggies, all because the driver didn't want to turn them away. Getting off the bus was one of the worst experiences I'd ever had, everyone was staring at me as I tried to turn around in the tiniest space. Also though when bus drivers have turned away people with buggies I've had the most awful looks off the parent, I have no reason to feel bad though, everyone seems to forget that it's called a wheelchair space! Once I manage to actually get into town you'd think I could relax, sadly not though. I know that there are certain places or shops that I can't enter due to lack of thought for disabled people. Cars parked on dropped kerbs often stop me from crossing the road to get somewhere or I arrive at a shop to find that there is a step to get inside. LUSH proved that it doesn't take much effort to buy a simple ramp, it really isn't that hard. When I'm inside shops as well I'm often faced with tiny aisles that are tricky to navigate and then counters that are too high for me to reach. Or even worse, a big brand shop that doesn't even have a lift (Topshop, I'm looking at you). Basically, everywhere I go there are always places that I'm banned from entering simply because I get around on wheels. As I mentioned briefly above there are many times where I am unable to cross the road because a car has parked in front of a vital drop kerb. There is a complete lack of awareness and consideration when this happens, people just simple don't think about what the consequences may be. It means that I have to risk my life by travelling on the road for anything from 10m to 100m, I might be on wheels but that doesn't mean I should have to travel on the road. Another time where this occurs is when people park on the path. I find this even worse as it means I have to turn around, find a drop kerb, go onto the road and hope there is another drop kerb nearby past the car. Sometimes I avoid going down certain roads completely just because I know that 90% of the time there is either going to be a blocked path or drop kerb. It's a pain in the arse. 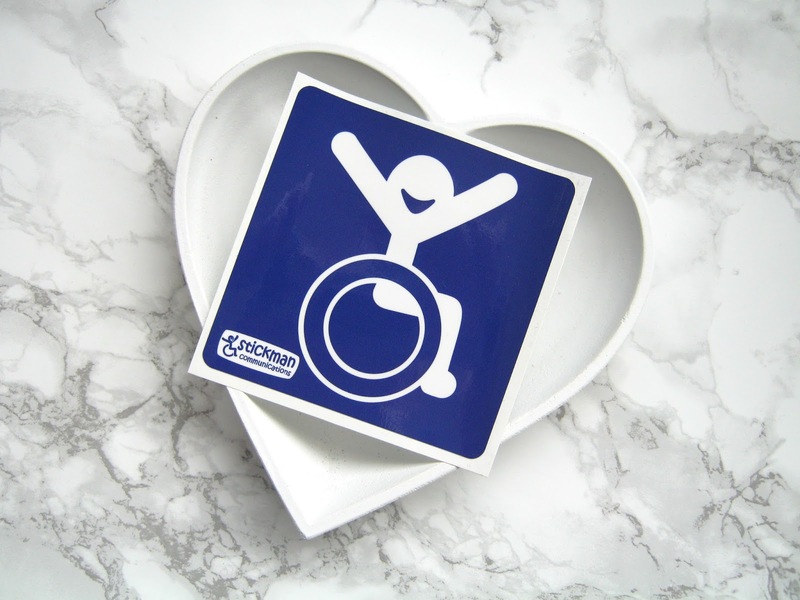 I realise that I've moaned quite a bit in today's post so I also want to introduce to you a new brand that is trying to improve accessibility for disabled people. 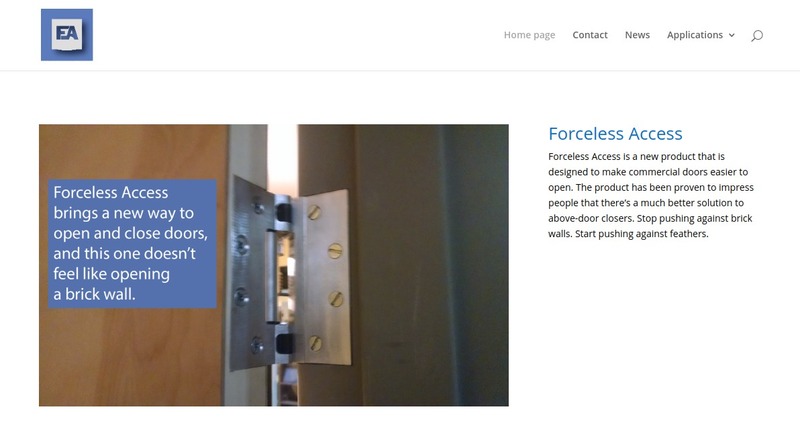 Forceless Access is a very new and developing American brand that is making something that will mean that doors will be easier to open. Wheelchair users and some disabled people often find opening heavy doors tricky, I know I definitely do. So, to think that you could add something to a door that could make it easy enough for most people to open would be great. I think most shops and public places don't want to improve accessibility because they think it will be difficult and expensive but Forceless Access are trying to change this and make things easier. They'll be much better at explaining everything than me so I'll let them tell you about it in their own words. "There's a few main applications for Forceless Access when it applies to disabled individuals. The force to open a door is referred to the opening force. The American Disabilities Act requires all door closers in America to be 5 pounds of force or lower to open. This is still not doable for most disabled users though so we have created a solution that gets rid of that bulky mess on top of the door and puts it into the hinges. This system really doesn't depend on how heavy a door is, it uses leverage to make the true difference. Imagine walking up to a door and pushing it with your little finger and having it stay open long enough for you to move through. Most above door closers struggle to make 5 pounds of force happen, and then they fall out of adjustment. In fact, most are above 5 pounds anyways from what we've tested, and a good 70 percent of doors aren't within code. Our hinge exerts only about .75 pounds of force, way lower than necessary to make it easier on disabled people. Our product is affordable for places like hospitals, shops and hotels to buy at only $33 a hinge, this cost is only slightly more than a normal door closer. We need interest so that we can go to a hospital and say 'here, this is what people want' we won't make a profit likely but we will make the above door closer companies more aware of what disabled people need and want. There's also two specific applications for our hinges, hotels and hospitals. The hotel hinge is focused on solving the number one complaint in hotels, doors are too loud and keeping everyone up. Our door closers silence the doors as much as 65% from our testing. It also makes bringing luggage into a room much easier for people who are carrying more than one bag. It's hard to bring stuff in when a relentless door is pushing up against you. There's an application for hospitals that the inventor came up with while having surgery. The doors make it very hard to push beds through, so the new hospital application allows for one to keep the door open past 98°. At that point the nurse can kick the door at the bottom towards a floor stop, and then have it rebound off of the doorstop to the point where it will automatically closed." I realise that this is a product mainly marketed towards public places but I really wanted to talk about them, if only to give people hope that there are people out there that are listening, people who are passionate about changing things for the better. Heavy doors are a big nuisance in my life so introducing a product that could be added to most doors to make things easier is an idea I welcome greatly. You can keep up to date with their progress on their website and you can also follow them on Twitter. Everything is still in its developing stages but stick with them, I think there is really good things to come. I recently had to serve jury duty and noticed there was some construction work going on outside the building. It turned out there was a ramp being built for disabled access but, as it's a listed building, it required a certain type of stone and they fitted the ramp without railings so had to tear it all down and start again. It amazed me that a building that is used frequently by the public is only now getting wheelchair access. Even now I'm thinking of all of the stores that are not accessible to wheelchair users and it's ridiculous how many there are. People parking on kerbs also irritates me but more because I have a Guide Dog puppy in training and I can't get passed a car with the dog in tow but I also can't teach him to just casually walk on the road. It's so ignorant how people choose to park on the pavement (especially the ones who basically park so far over the pavement and don't leave any space for anyone to get by). It would be nice if more people understood how much their parking choices hinder people.